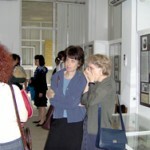 The Twentieth International Conference of the International Federation for Research in Women’s History entitled “Women, Gender and the Cultural Production of Knowledge” was held in Sofia from 8th August till 12th August 2007. 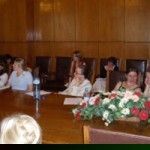 The main organizer of the conference was the Bulgarian Association of University Women together with Sofia University “St. 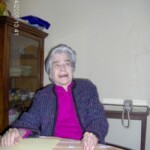 Kliment Ohridski”. 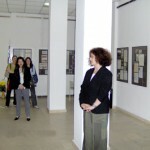 The conference was under the auspice of the First Lady of Bulgaria, Dr. Zorka Parvanova, and was financially supported by Sofia Municipality (Culture and Education Directorate), Bulgarian Office of the UN Program for Development (UNDP), Trust for Civil Society in Central and Eastern Europe, East-East Program of Open Society Foundation and the American Association for Women in Slavic Studies. The conference was attended by more than 165 scholars from 45 countries, working in the field of women’s history and gender studies. 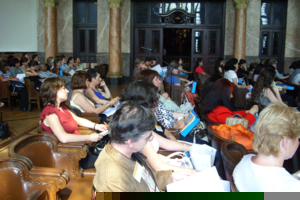 During the three days of the conference various papers and presentations were delivered in 38 sections united around several major topics: “Women, Orality, Memory”, “Women in Traditional Societies”, “Writing of Gendered History”, “Cultural Aspects of Women Representations”, “Women’s Movements and Feminisms”, “Cultural Production: Women Writers”, “Women in Professions”, “Masculinities and Femininities through Time and Space”, “Gender in Books, Art and Music”, “Museum and Performativity of History”, “Women in the Arts”. 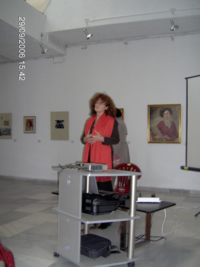 Several documentaries were shown as part of the plenary sessions – about Marie Balian, an Armenian ceramic artist from Jerusalem, about Irma Lindheim, a kibbutz founder in Israel and about the Bulgarian feminist Jenny Bozhilova-Pateva. 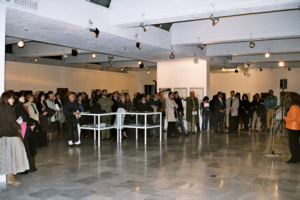 A special launching of the Bulgarian translation of Scott McFie’s book Among the Bulgarian Gypsies with an Introduction by Prof. Timothy Ashplant published by the Sofia University Press “St. 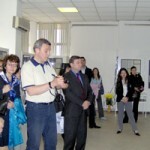 Kliment Ohridski” was also one of the focal points of the conference. 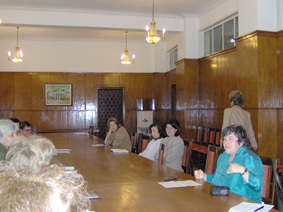 An important part of the conference was the round table “Gender Equality in Secondary and Higher/University Education in Central and Eastern Europe”, which gathered together 40 participants (18 from abroad and 22 from Bulgaria) – scholars, representatives of women’s organizations in the academia and NGOs working for gender equality. 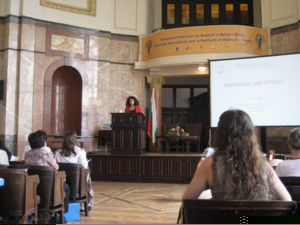 Data for the women’s place in higher education and science in Bulgaria, Romania, Turkey, Albania, Serbia, Greece, Slovenia, Croatia, Hungary, Russia, Latvia, as well as for the whole region of Central and Eastern and South-Eastern Europe were discussed in several of the panels. Especially useful were the meetings of the members of BAUW with members of similar organizations from the Balkans. 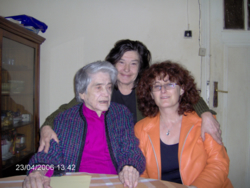 At the beginning of 2007 the first volume of Aspasia, a new journal for Central, Eastern, and Southeastern European women’s and gender history came out. 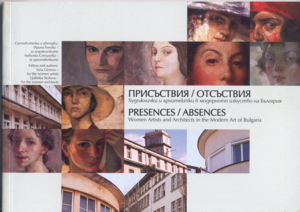 It is edited by Francisca de Haan (Central European University, Budapest), Maria Bucur (Indiana University) and Krassimira Daskalova (St. Kliment Ohridski University of Sofia). 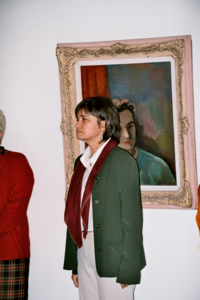 The editorial board consists of Gisela Bock, Elena Gapova, Jasmina Lukic, Natalia Pushkareva, Bonnie Smith, Natalie Zemon Davis and Anna Zarnowska. 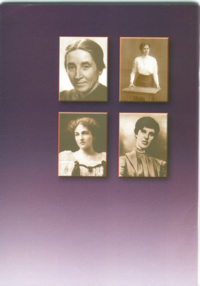 The journal has the ambition to publish the best scholarly production in the interdisciplinary field of women’s and gender history with a special focus on Central, Eastern, and Southeastern Europe, where this kind of research is scarce and is marginalised in the “international” canon. 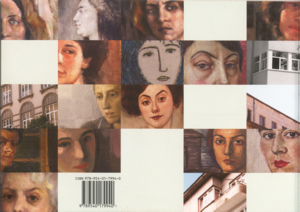 The journal aims to turn the European history of women not only into West European history of women, as it is often assumed to be, but to redirect the interdisciplinary research on women and gender towards all parts of the continent. Each volume of the journal will contain a number of articles, discussion forum and reviews of books. The first volume has already been published and its topic is Women’s Movements and Feminisms. 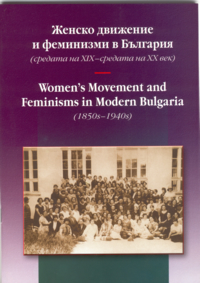 It contains articles on the women’s movements in Russia, Ukraine, Turkey, Romania, Lithuania, Bulgaria and Greece from a wide chronological range – from the mid-nineteenth century to the beginning of the twenty-first century. 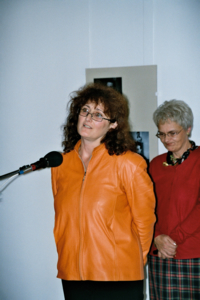 The Forum is devoted to the question whether there is a contradiction in the term ‘Communist Feminism’. 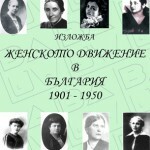 The review section contains reviews on surveys of women’s history in Romania, Russia and Estonia. 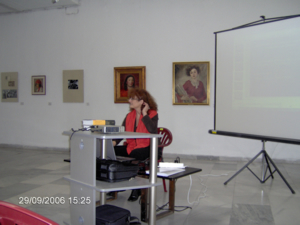 On 11th November 2006, an open lecture was delivered by the Chairwoman of BAUW, Assoc. 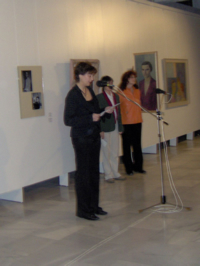 Prof. Krassimira Daskalova, on “Women’s Movements and Feminisms in Central, Eastern and South-Eastern Europe” in the hall of the Sofia City Gallery where the art exhibition “Presences/Absences” was shown. 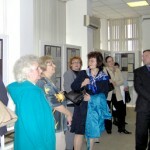 The lecture was followed by the launching of A Biographical Dictionary of Women’s Movements and Feminisms. Central, Eastern, and Southeastern Europe: 19th – 20th Centuries, edited by De Haan, Fr., Kr. 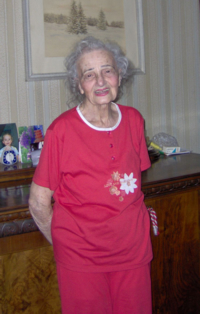 Daskalova, A.Loutfi (Budapest, New York: CEU Press, 2006) with articles by other BAUW members. 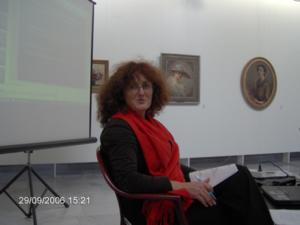 In her lecture Prof. Daskalova made a brief survey of the emergence and the growth of women’s history as a field of scholarly research and an academic subject and traced chronologically the development of this field in Bulgaria (in the works of Stanka Nikolitsa, Vana Kepova, Ekaterina Zlatoustova). 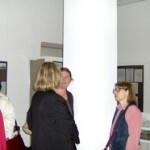 The second focus of the lecture was on the development of feminism and its typology. In the lecturer’s understanding there are different types of feminisms which co-exist polyphonically in Central, Eastern and Southeastern Europe. 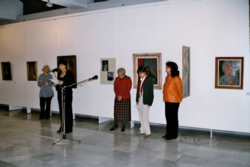 That was the driving idea behind the compiling of the Biographical Dictionary which gathers together different life-stories, which could form a new understanding of the region’s feminisms and women’s movements and serve as the basis for the writing of their history. The lecturer explained what the criteria for defining the geographical boundaries of the region had been and for the choice of the women represented in the edition. In her understanding, as a result of the gathered texts, some very important similarities in the treatment of women in Central, Eastern and Southeastern Europe have emerged – the long-kept male dominance and hierarchical power on the material and power level, the devaluation of motherhood, the transference to women of all moral (but not legal and financial) responsibility for family life, the continuation of home violence, the preservation of the high rate of female illiteracy and death rate, the exploitation of women by several modernity projects (socialist, nationalist, fascist), the framing of feminism within national and social discourses. 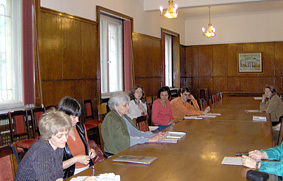 On 28th May 2005 a round table “Feminism and Feminisms” organized by BAUW as part of the events to mark the 80th anniversary of the organization and its joining of the IFUW was held at Sofia University “St. 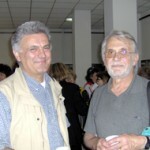 Kliment Ohridski”. 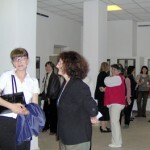 Milena Kirova, Krassimira Daskalova, Ralitsa Muharska, Kornelia Slavova, Irina Genova, Reneta Roshkeva, Luibinka Stoilova, Georgeta Nazarska, Maya Nyagolova, Madeleine Danova were part of the participants in the discussion. MA students from the Gender Studies Program as well as historians and journalists also took part in the debate. 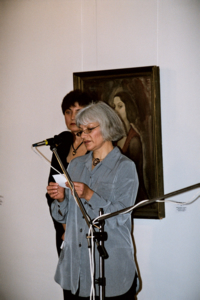 In August 2005 BAUW Chairwoman Krassimira Daskalova was elected President of the International Federation for Research in Women’s History.